A large collection of recently received etegami! I see I have some painting to do, to respond! Above is a set of cards from Shay in Hawaii. 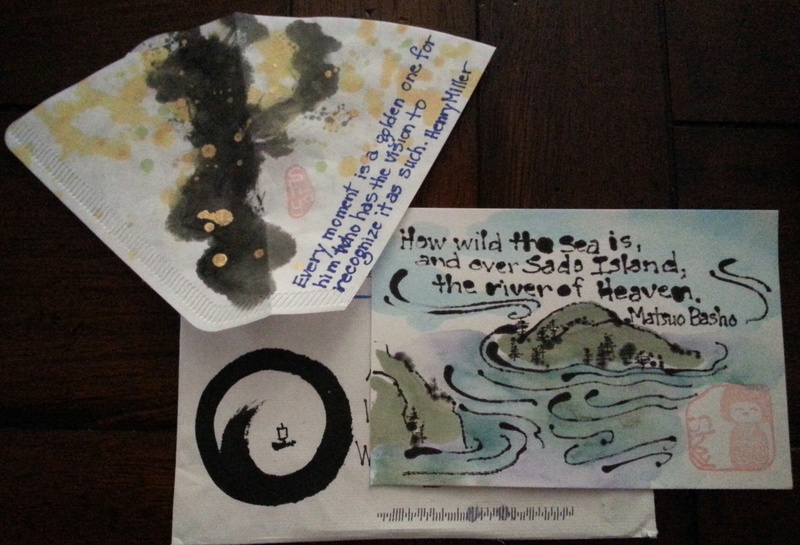 The one on the left is painted on a coffee filter — this has been a trend in the Facebook Etegami group I’m a part of. Coffee filters have a very “bleedy” quality to them, that lets the paint and sumi run in an appealing way. The one on the left is a lovely landscape of Sado Island, an island to the west of the main island of Honshuu in Japan. 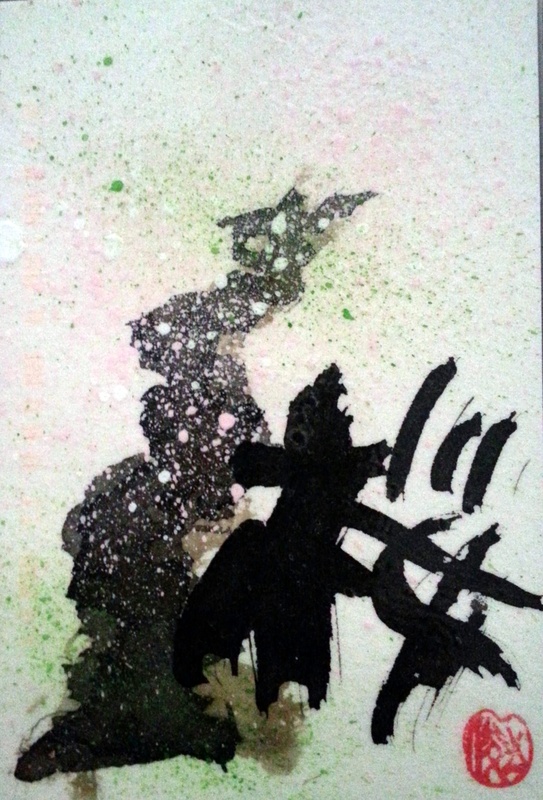 Above is a wonderful abstract etegami of a sakura, or cherry blossom tree, from Shungo in Japan. I love his work, and am currently using this card as a book mark! 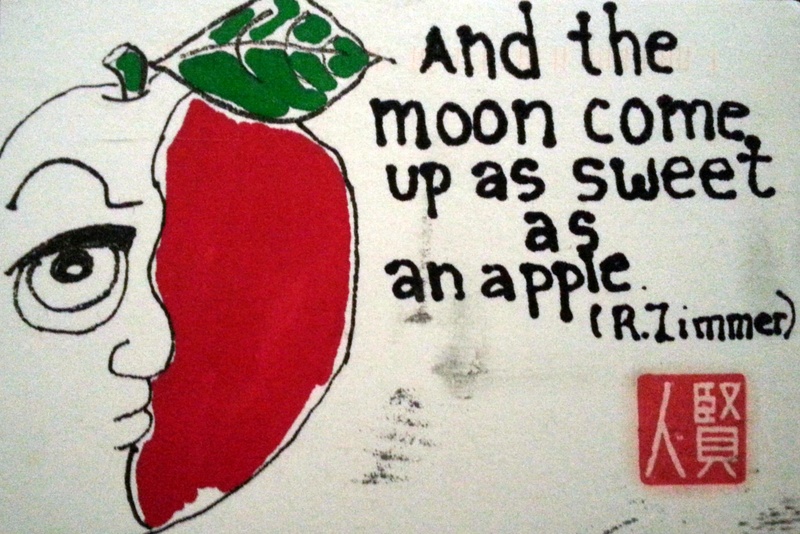 Carol of California painted this etegami for me, with the works “And the moon come up as sweet as an apple,” from R. Zimmer. I love the sparse inked lines of Carol’s work! Fumiko of Japan is an expert at cut-paper art and send me this wonderful kittie, with what I translate to “How do you start each and every day? 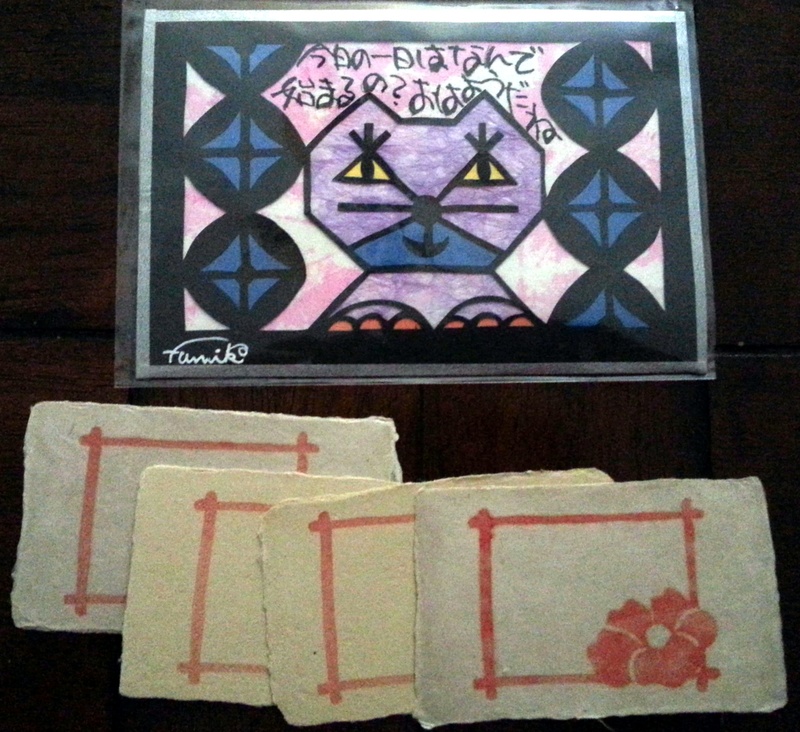 With “good morning,” that’s how.” The papers below are business card sized, and handmade by Fumiko. I can’t wait to use them. 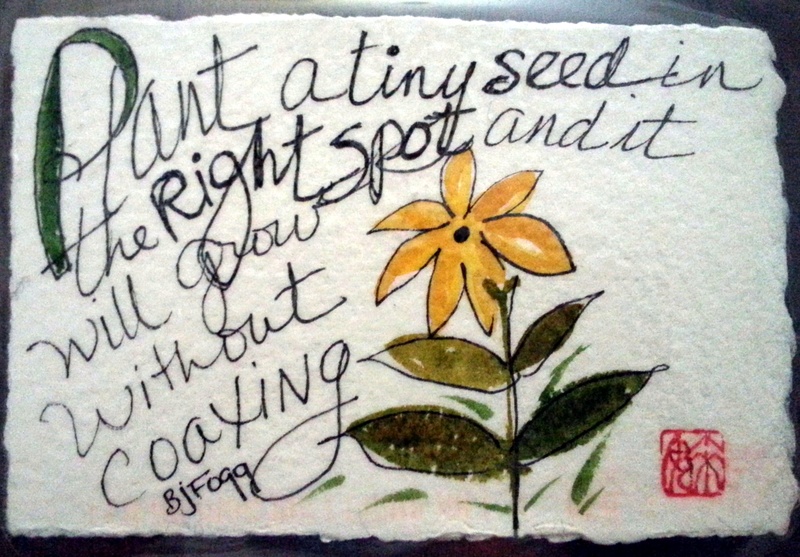 Patricia of California painted this happy little etegami, with the words from BJ Fogg “Plant a tiny seed in the right spot and it will grow without coaxing.” I love the figurative meaning of the poem, and I have this hanging above my etegami work space.